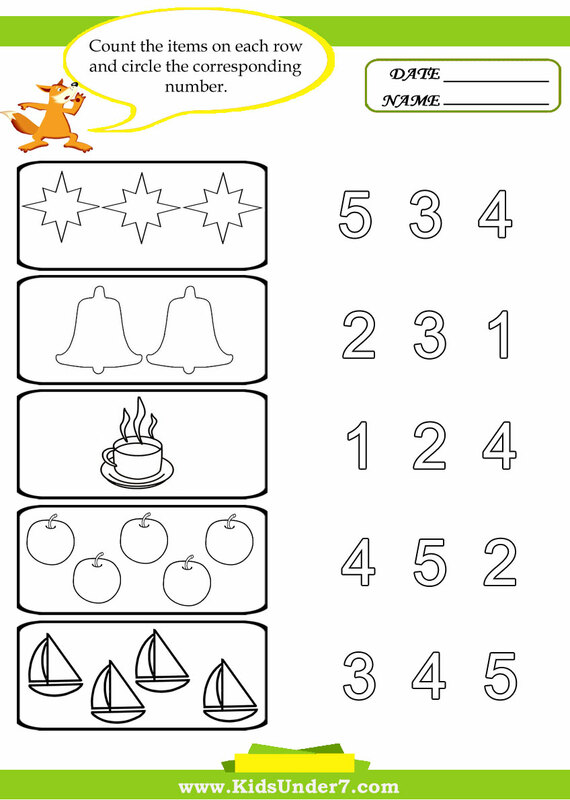 Welcome to KidsUnder7.com, here you'll find a variety of free Preschool counting printables worksheets promoting early childhood education. 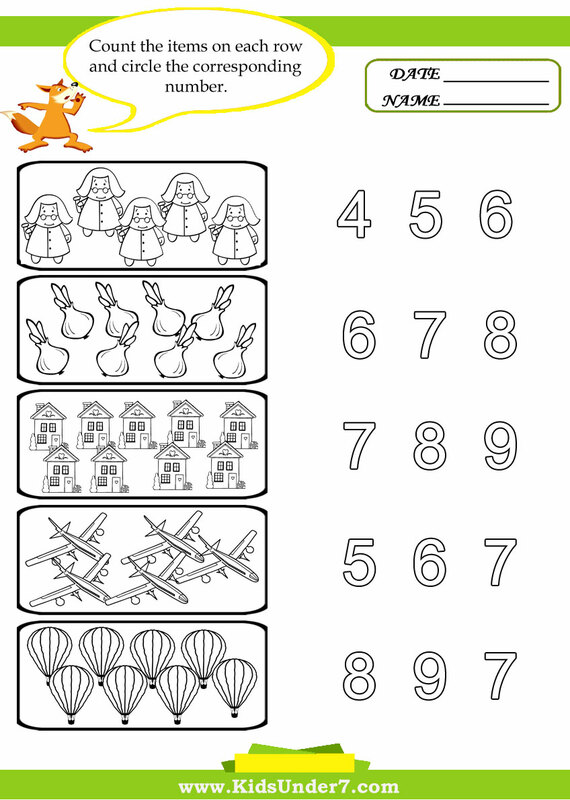 Counting and Number Recognition Worksheets. 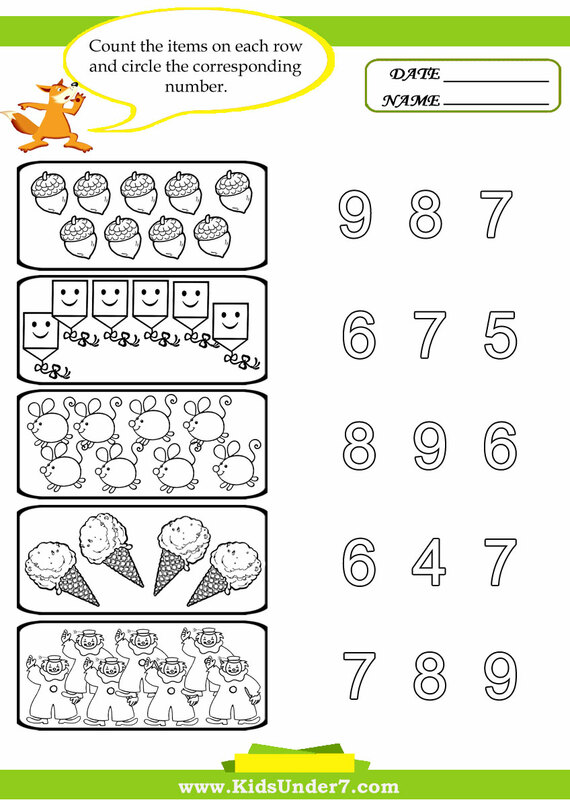 Fun Preschool counting printables worksheets for you to print and enjoy with your child. Teachers love using our preschool worksheets to supplement their early childhood education programs and parents appreciate the easy access and variety of materials to help their pre-kindergartner practice basic skills. 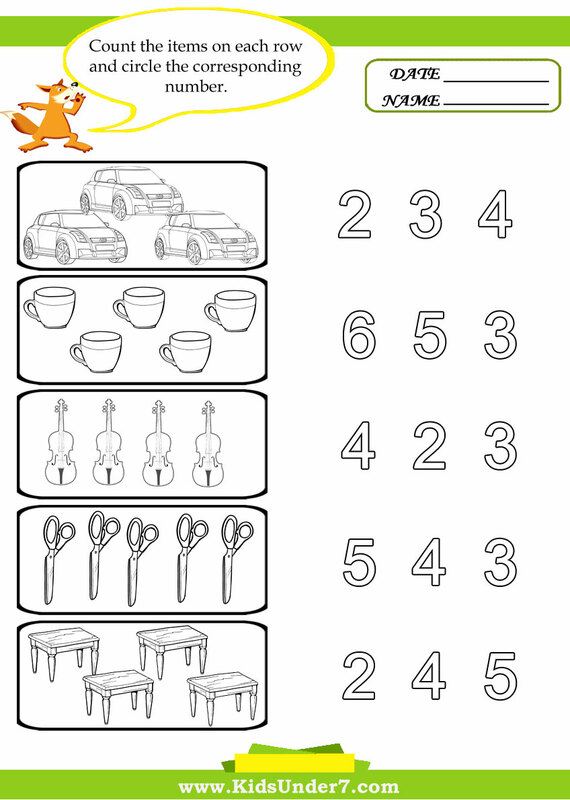 We offer you 6 free printable preschool worksheets for use in your classroom, daycare, or home. Circle the correct number for each counted amount. Counting and matching to numbers: Count the items on each row and circle the corresponding number. 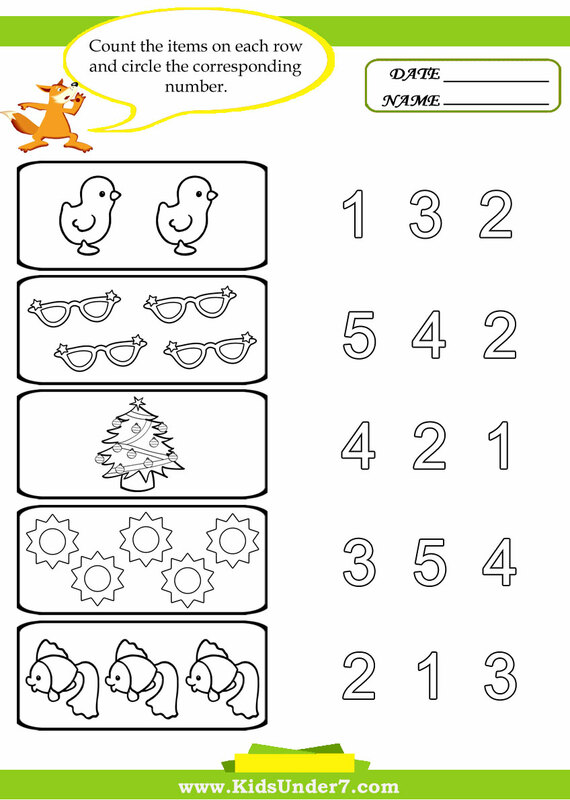 Ask your child to use one-to-one correspondence, touching each picture while counting. 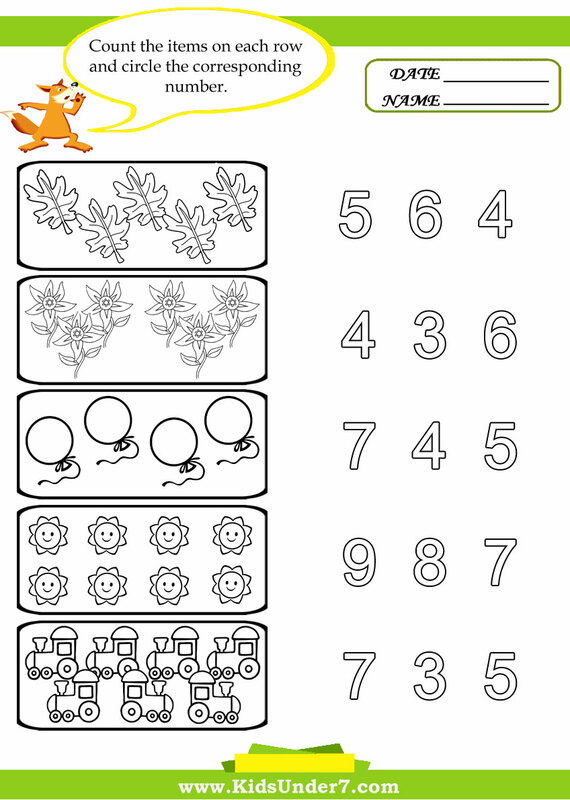 Counting with one-to-one correspondence.6 worksheets available. Practice counting from 1 to 10 using one-to-one correspondence. Circle the correct number for each counted amount.